All of the UN member states have agreed to the goal of achieving Universal Health Coverage (UHC) by 2030. This commitment includes access to quality essential health services (EHS); safe, effective, quality and affordable medicines and vaccines; and financial risk protection. As a result, we are seeing significant efforts at the global and local level to increase coverage of EHS, reduce out-of-pocket payments and expand domestic resources for financing health. The Third International Conference on Financing for Development released an outcome document which provides the framework to ensure that governments own, measure and finance their health activities in collaboration with international and other domestic stakeholders — in a way that aligns with social, economic and environmental priorities. The design and implementation of EHS requires integrating the dialogue on health financing with the quality and delivery of a people-centered EHS package. Following the principles outlined in the Alma-Ata Declaration of 1978, the EHS package should be responsive to the national and local context, as well as a reflection of national priorities, regional or subnational variations in burdens of disease, financial resources and health systems capacity. However, many low- and middle-income countries lack the necessary resources or data to systematically assess, define and update their service packages through inclusive means, which both improve health governance and promote shared accountability. In the past, efforts to design EHS packages have been met with varied success. The WHO has generated multiple guidelines and interventions to support decision makers in determining the strategies, interventions — including prevention, counseling and care — and essential medicines required to deliver a package of services. In some countries, packages have been influenced by the 1993 World Development Report. International agencies and donors tied to such global agendas rather than local needs have played a central role in designing the content of these packages. This can be seen in the case of Afghanistan, where the initial basic package was developed with little input from the Ministry of Public Health and limited country-specific information and data. At the request of donors, the EHS package was later redesigned with global technical assistance and local expertise, leading to Afghanistan’s final Basic Package of Health Services. In other instances, EHS packages have remained facility focused and fail to incorporate measures preventing or treating local, epidemic and endemic diseases in the community. There have been multiple efforts to determine criteria for service selection. To encourage countries to fulfill a commitment to fairness — and the overlapping concern for equity — the WHO Consultative Group on Equity and Universal Health Coverage has recommended three criteria to be considered in service selection and prioritization: cost effectiveness, financial risk protection, and prioritization of services needed by the poor. The Lancet Commission on Global Health 2035 includes some recognition of the trade offs between health outcomes and financial protection. Yet beyond the measure of cost effectiveness, there has been no revision of these global guidance processes or criteria in support of service selection for EHS packages — either at primary care level or higher levels of service delivery. To support regional and global UHC monitoring, the global community has identified 16 tracer health service indicators. This set of indicators was developed after considerable review, using the criteria of feasibility, suitability and relevance. The final tracer health service coverage indicators involve a range of health interventions that should benefit individuals. However, these high level outcome indicators were designed with cross-country comparison and reporting in mind; they are retrospective, focusing on what is — rather than what should or could be — available. Thus, a gap in guidance remains in order to support the design of a rights-based package, which includes a full range of preventative and curative primary health care services and is responsive to the needs of a country and its sub-populations. The approach of the past two decades has created vertical interventions which focus on maternal and child health, TB, malaria and HIV/AIDS, while excluding other interventions. Even where political will and capacity exists, many low- and middle-income countries do not have a health system that can provide “access to quality essential health-care services and access to safe, effective, quality and affordable essential medicines and vaccines for all,” as described in the Sustainable Development Goals (SDGs) — both in SDG 3.8 and the overall goal to improve health and wellbeing. With the re-opening of this discussion regarding the SDGs, there is a window of opportunity to pursue an integrated, primary health care systems approach which delivers an EHS package to lessen the limitations of verticalization. All of these issues must be addressed for healthy lives and well-being. To overcome limited resources, donors, technical partners and countries must come together urgently to develop cross-cutting partnerships and avoid trade-offs that isolate diseases. In order to support this, external resources and partnerships for health programming require greater coordination that reduces fragmentation and builds national health systems that are resilient, secure and responsive. Addressing these challenges and delivering integrated, people-centered care requires a primary health care systems approach. A primary health systems approach does not simply focus on strengthening the delivery of clinical care — it is a broader view of health systems strengthening, including preventative health services, community health, and intersectoral collaboration to provide responsive care at all levels of the health system. 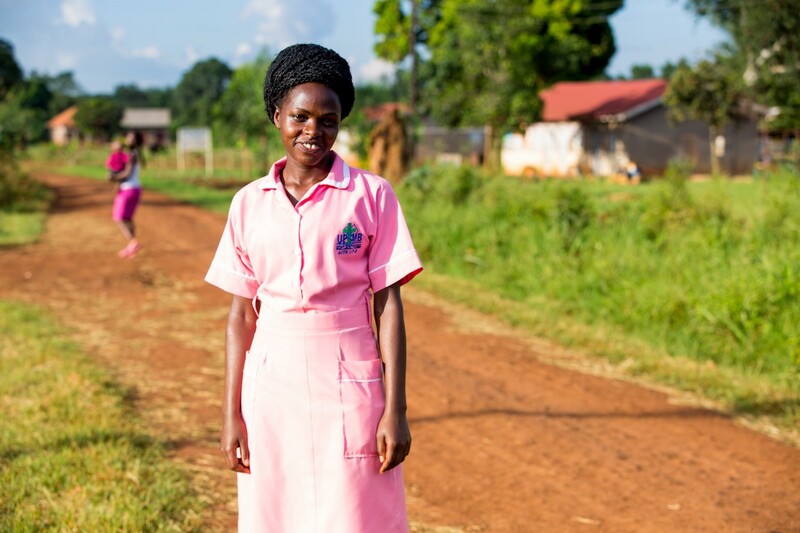 This approach to health systems strengthening seeks to improve performance and health equity, and requires consistent funding and leadership that can think beyond silos to guarantee universal coverage. Strategic investments in public spending for health can drive improvements in service coverage. There are many ongoing discussions about the variations in the dollar amount required for improved health outcomes and financial protection. Estimates dictate that low-income countries would need to spend on average USD 86 per capita to deliver a set of essential health interventions, and spend — at minimum — five percent of their GDP on health, as recommended in the World Health Report 2010. As countries look for innovative ways to increase domestic resources in order to meet the rapidly rising cost of financing health care and the goal of five percent of GDP for health spending, donors and funding mechanisms have an important role to play. Partnerships and resources such as Gavi, the Vaccine Alliance and the Global Financing Facility have the ability to systematically fill the gaps in country spending. This can be accomplished through strengthening systems and providing support where the EHS package cost exceeds five percent or USD 86 per capita. We must rally together, as it is time to integrate discussions on financing with quality and delivery of people-centered primary health care. Global guidance should support governments in designing fair and equitable EHS packages to meet the needs of their populations.